Ideal for applying Zao Complexion Light Base, Silk Light Complexion or Zao Zao the Compact Powder, Sponge Rubber ZAO is an essential accessory for consistent and accurate color! Its rubber texture lets you apply smooth your product for a very natural effect. Very practical and easy to carry thanks to its format 53 x 53 mm, The Sponge ZAO follows you everywhere in your beauty kit! 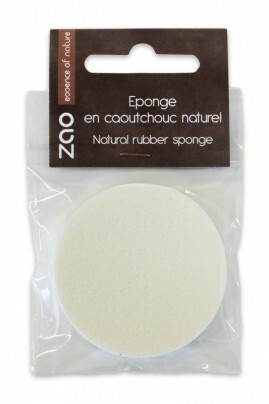 Opt for a natural complexion with Sponge Rubber Zao! The Sponge Rubber Zao can be used for all skin products ZAO range with a creamy texture (dyed light base, dyed silk, compact foundation, concealer, light button). To extend the use of the product, it is recommended to clean the Sponge Rubber Zao with mild soap and rinse with water to remove all traces of makeup.